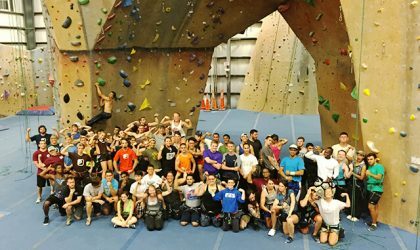 Looking for a great way to get your friends, club, scouts, or coworkers involved in an exciting and unique activity? 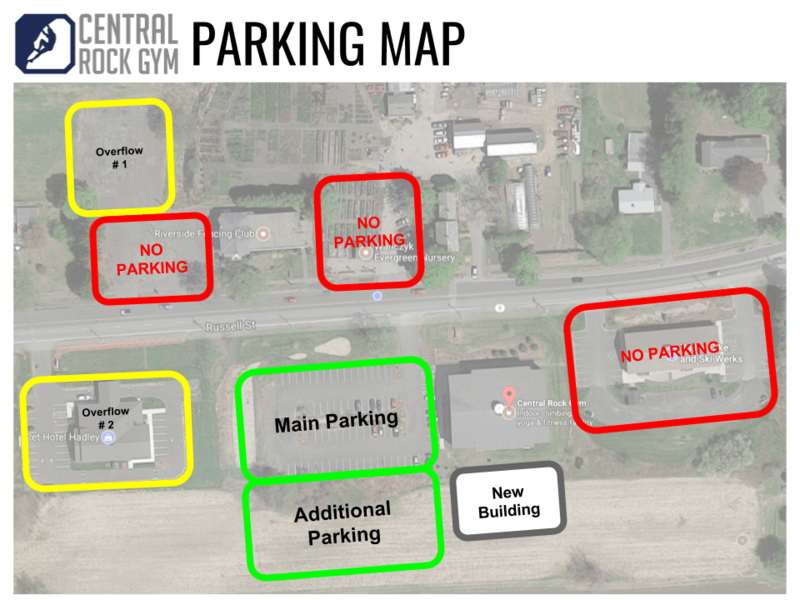 Central Rock Gym offers the perfect blend of informative instruction and exhilarating activities to create a great outing experience for everyone! 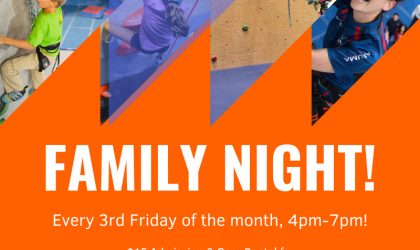 Bring your company, scouts, sports team or other group in for a memorable night of climbing, rappelling, and other fun adventures! We have plenty of multi-use spaces for eating, classes, meetings or movies. 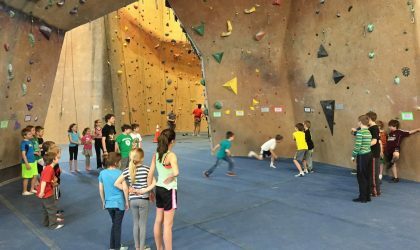 Looking to add a little more adventure in your summer camp programming? Bring in your group of campers, or the whole camp! 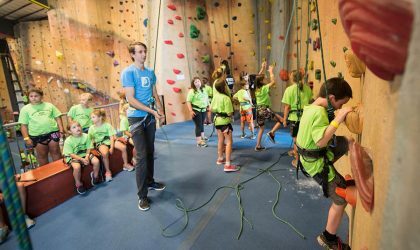 Your campers will get to try different walls and climbs under the guidance of our friendly and experienced staff! Admission and gear rental is $15 per person for parents and their kids under 18!